Welcome to Clarks Garage Doors & Gate Repair Los Angeles. We are here to serve the great city of Los Angeles with excellent garage door repair and garage door installation services. I had a great experience with Clarks Garage Door Repair, the scheduling lady was very nice over the phone and was confident with her estimate and information. The technician Jack, was friendly, fast, and did a great job. When it's time to replace my garage doors they definitely have my business. Very professional and fast garage door service! 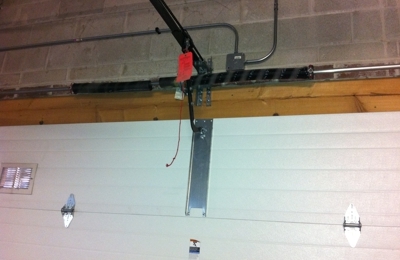 Our garage door broke unexpectedly and they came in with a quick and affordable solution. Danny was very fair, honest, communicative and gave good recommendations and options for how to replace our door. Everything was coordinated and installed within a couple business days and they worked very neatly and efficiently. The door looks and works great, and is exactly what we ordered. I spoke with Adam and he gave me some advice which saved me a service call. That's how you develop loyal customers. Absolutely fantastic work! One of the torsion springs broke on our garage door. I called Clarks Garage Door Repair, and they were able to get to our house very quickly. They replaced both springs, tightened up a few bolts and lubed everything up. Even stapled a loose piece of stripping at the bottom of the door! Friendly guy and very reasonable cost! I'll definitely keep their name on file for our next garage door repair! We called Clarks cause we got his number from a neighbor. He's the real deal, honest, quick to respond, and a fairly price. Fixed two of my doors the day after I contacted him, didn't try to sell me things I didn't need and got everything done in around an hour. Doors are working great! Thank you! Last Friday night my garage door would not close. My friends recommended Clarks Garage Door Repair. I called Clarks Garage Door Repair. Jack arrived promptly and efficiently. He professionally fixed the cables on my garage door. Satisfied with the work! Excellent Efficient Service! They are very professional and prompt. They came out within an hour of my call. I would recommend them to anyone. Clark's Garage Doors & Gate Repair is a wonderful company. It was a nice experience to install a new garage door opener. I would recommend them. Great, fast service. Was very easy to make an appointment. Technician was nice, professional, quick, and gave me a few tips on some easy maintenance I could do myself. I definitely recommend and will use again. They responded promptly with pricing. Then, I was able to schedule a same day appointment, and the Tech showed up on time and finished the job (replacing a broken spring) within a couple of hours. The tech performed an assessment of the garage door and provided a few recommendations, and he wasn't pushy. Call them on late on Sunday they were here Monday morning to do a wonderful job of replacing the springs on my garage door Jack pointed out to me that the rollers were very worn and might need to be replaced I knew that they were old and he replaced with nylon rollers. The door is so silent now can't hear it going up or down. The office staff kept in contact and they showed up exactly the time they said they would work area clean and got the job done fast. My spring broke on my garage door. I got quotes from this company and three others. This company gave a very good quote and even squeezed me in the day of my quote. Alex was the technician who came out to my home. Alex had manners and even went above and beyond by fixing my garage door sensor and explaining what he did and why. I highly recommend the Clarks Garage Door Repair as a solid company that can be trusted. Clark's Garage Doors & Gate Repair did a great job. They came out within a hour and professionally took care of my garage door issues. Recommended 100%. Incredibly reasonable prices, they came on time, and were very courteous. I would absolutely recommend to all my friends and family. My opener works fantastic so quiet. Thank you! Its been several years since we used this company for service. I believe the guys name was Alex either way Clark's Garage Doors & Gate Repair was fast, friendly and efficient. The best part is that we had similar work done in another property that was more expensive, took longer and was generally not as good of service. Therefore we are giving them a 5 start rating. Clarks Garage Door Repair are by far the BEST. I have used them for two door replacements personally in the past year, and refer my clients regularly. They respond quickly and their prices are unbeatable! Clarks Garage Door Repair is my go-to garage door company and consistently deliver quality, accurate service. I have used Clark's Garage Doors & Gate Repair since 2009. Every time I have gotten excellent and very efficient services. This time the spring broke, after 11 years of service and they came out, diagnosed the problem, and within an hour had everything repaired. Price was very reasonable for the best service. I loved working with Clarks Garage Door Repair! I received a quick response from them. I explained my issue, and they scheduled an appointment that worked with my schedule. They immediately were able to repair my garage door. From beginning to end, excellent service. Really excellent work and service. Clark's Garage Doors & Gate Repair gave me a fast response to my initial inquiry. Service tech showed up on time. He was friendly and professional. He was able to provide me options for openers and able to install on the spot.